Date Wise 09-09-2018 and Teacher Study Material Subject wise Notes Lecture Notes Sanskrit, Hindi, English, SST, Economics, psychology notes, Teaching Method, GK, Math, Urdu, Punjabi, Science subjects Physics, Chemistry, Zoology, Botany, Micro-Biology, Bio-Technology, and Bio-Chemistry. History, Geography, Economics, Political Science, Sociology, Social Science Indian History. Question(1) What was the name of Ashoka’s mother? अशोक की माता का नाम क्या था ? 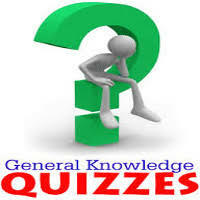 Question(2) Who first started the circulation of inscriptions in India? भारत में शिलालेख का प्रचलन सर्वप्रथम किसने किया? Question(3) When did Ashoka’s inscriptions be discovered? अशोक के शिलालेखों की खोज कब हुई? Question(4) When was the first inscription of Ashoka read? अशोक के शिलालेख प्रथम बार कब पढ़े गए? Question(5) Who was the last Mauryan emperor? Question(6) Which mineral is obtained by iron? किस खनिज द्वारा लोहा प्राप्त किया जाता है? Question(7) Swaraj should be for the general public, not only for the classes, who declares this formula? स्वराज आम जनता के लिए होना चाहिए केवल वर्गों के लिए नहीं इस सूत्र की घोषणा किसने की? Question(8) Who in South Africa had a long struggle against apartheid? दक्षिण अफ्रीका में किसने रंगभेद नीति के विरुद्ध लंबा संघर्ष किया? Question(9) Whose volume is increased to provide stiffness in steel? स्टील में कठोरता प्रदान करने के लिए किसकी मात्रा बढ़ाई जाती है? Question(10) How many sessions are called in less than 1 year of Lok Sabha? लोकसभा के कम से कम 1 वर्ष में कितने सत्र बुलाए जाते हैं?